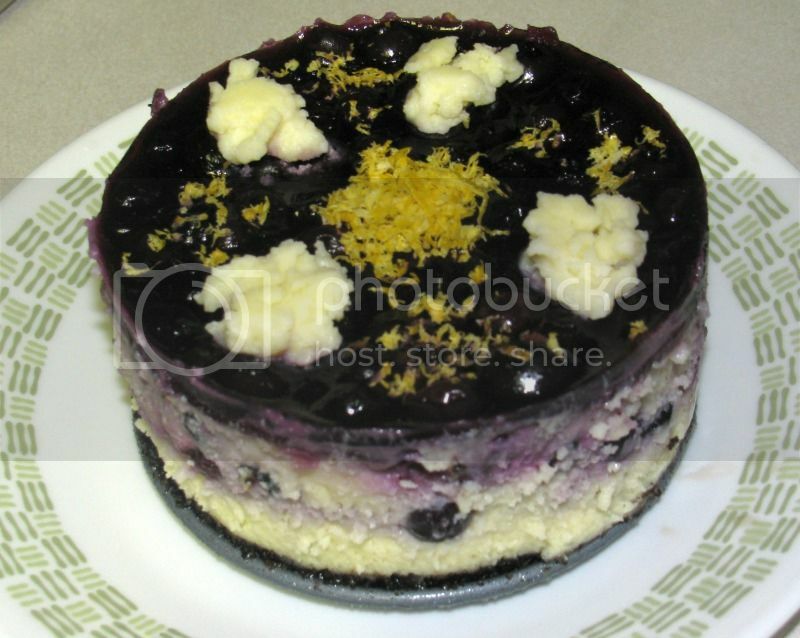 5) turn out too "grainy"
Well, I read that to bake a cheesecake properly, you need to use a bain-marie (water bath). 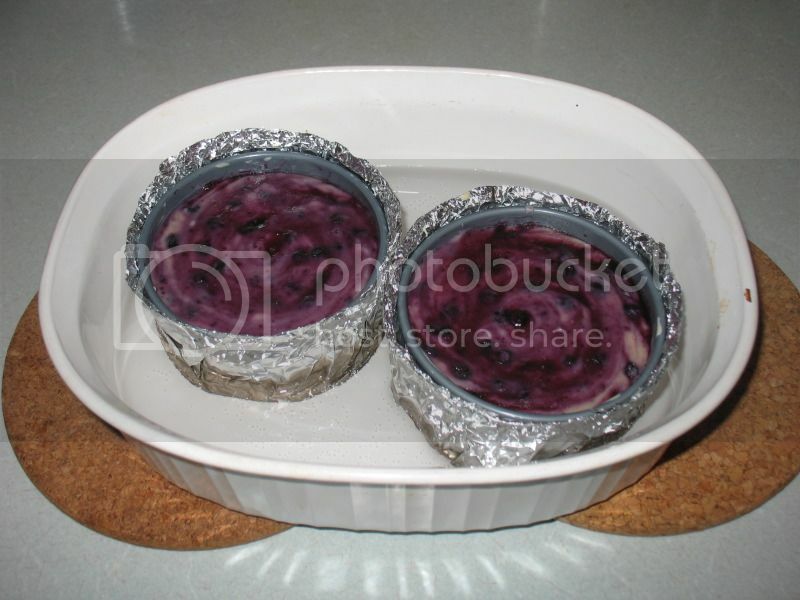 Since water does not heat up beyond 100 degrees C without turning into steam, you make sure the cheesecake does not overcook on the sides and undercook in the center. The steam that evaporates also keeps the surface of the cheesecake moist and prevents drying and cracking. Since the filling cooks evenly, you get a very velvety cheesecake. Perhaps the MOST important thing that people often rush (or forget or unaware) is that once the cooking time is reached, you need to turn off the off the oven and allow the cheesecake to cool naturally, in the bain-marie IN THE OVEN!! !, for an hour before removing it. Taking it out too soon to cool on the counter at room temperature will lead to undercooking of the filling...and since the center has not completely cook, the surface will start to sag and crack. 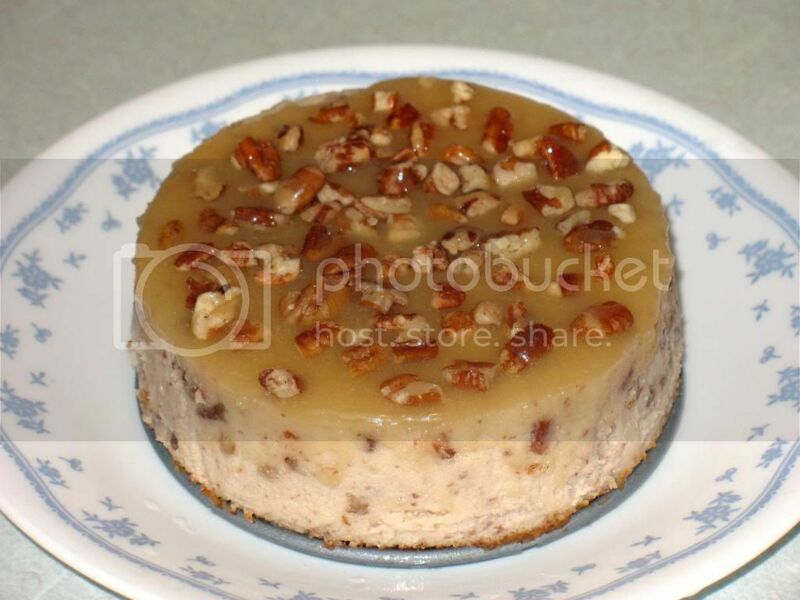 That affects the texture of the cheesecake and the presentation. After cooling in the over for an hour you can then remove it from the oven and cool the cheesecake in the springform pan on the counter until touchable warm. 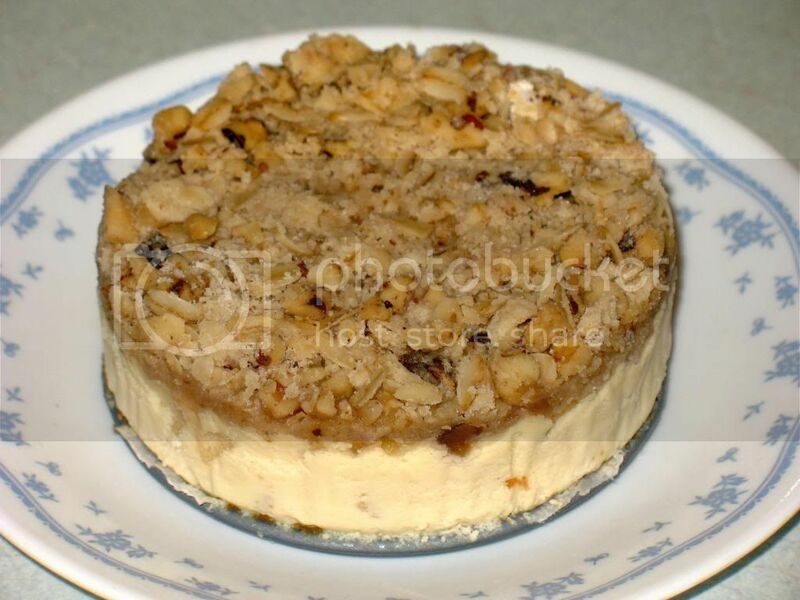 After that, chill the cheesecake in the fridge for the suggested time for your recipe. My simple bain-marie consisted of a roasting pan filled with enough boiling water to reach just half the height of the springform pan. Make sure you wrap the springform pan with aluminum foil (2-3 layers recommended) and check to make sure there are no holes or tears! You do not want water to leak into your springform pan!!! I had one leaked just a little bit...enough moisture to make the cookie crumb base a little too moist and sticky. The other was just perfect. Yes, it takes a lot of time and a lot of attention to bake cheesecake properly...but the result is definitely worth it. Cheesecake takes all that and to bake someone a cheesecake is a sign of appreciation or love. It is definitely not something to whip up and done roughly. That looks excellent. I think even Gordon Ramsey wouldn't yell at you too much. 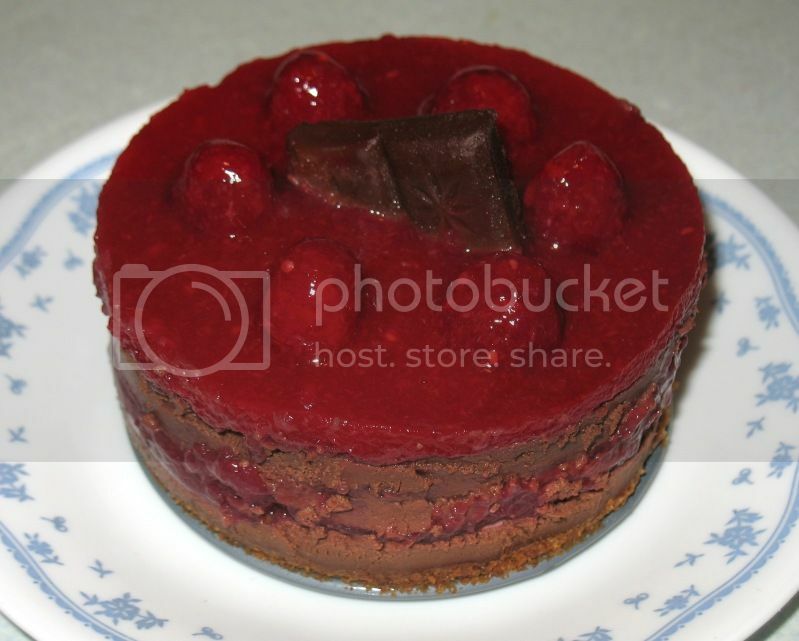 Dark Chocolate Raspberry Cheesecake - it's a little denser than the White Chocolate Blueberry version, since the dark chocolate has much more cocao and less moisture. It's a nice dense cheesecake that I love. My sister likes lighter, fluffier cheesecake and she likes the other one a little more.